The "Be Beautiful Be Yourself Fashion Show 2011," benefiting the Global Down Syndrome Foundation, at the Hyatt Regency Denver at the Colorado Convention Center in Denver, Colorado, on Saturday, Oct. 15, 2011. 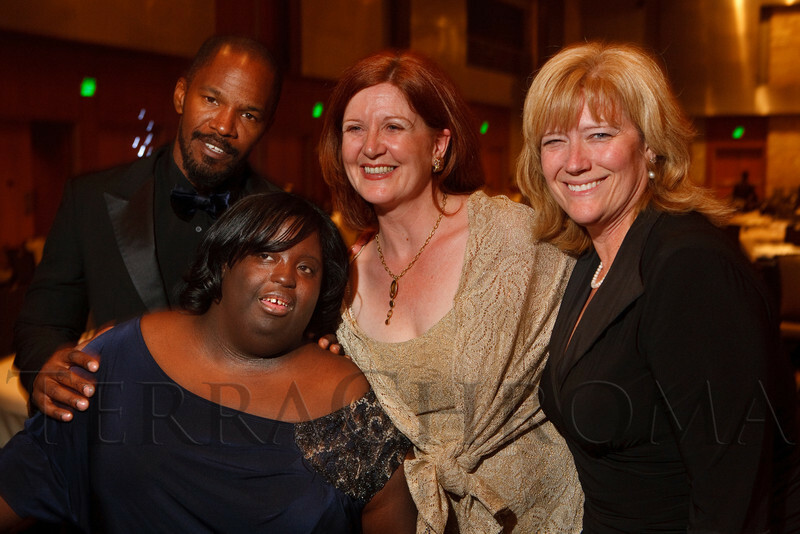 Jamie Foxx, DeOndra Dixon, Amanda Angelov, and June Richard. The "Be Beautiful Be Yourself Fashion Show 2011," benefiting the Global Down Syndrome Foundation, at the Hyatt Regency Denver at the Colorado Convention Center in Denver, Colorado, on Saturday, Oct. 15, 2011.